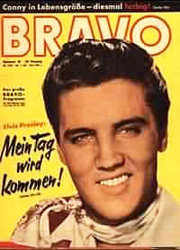 The talents possessed by Elvis Aron Presley did not occur by accidentbut through the grace of God. Elvis knew this to be the case and he struggled with humanistic questions such as; "why me"? and "am I doing what God wanted me to do"? Elvis shared these feelings with those closest to him, dating back to his childhood, continuing through the last days of his life. In every respect Elvis was human but his life, like his immense talents, were anything but. Everyone knows the story about how Elvis wanted a bicycle for Christmas but his Mother could not afford one so she bought him a guitar from the hardware store and he learned to play. What is not as well known is that Elvis grew up with music, and singing, as an expression of the soul. Singing music was not just putting melody to words but actually "feeling" each word bearing the full weight of each chorus. Elvis was exposed to the Country Music Stars while listening on the radio to the Grand Ole Opry. Elvis also loved, and literally absorbed each song and sang it again and again until it was ingrained in his memory, Gospel Music and how the emotions lifted up from the radio speakers and transcended time and geography. Elvis also heard Jazz and appreciated the art of Jazz but felt more immersed in Rhythm and Blues, Gospel, and Country Music. To those who say "Elvis copied someone else", and therefore his accomplishments are to be diminished, are being simplistic and inaccurate. Elvis listened toeveryone and everything. From Opera to Dean Martin to Hank Williams Jr. to Ella Fitzgerald. He utilized his vocal cords to try to match their distinct tones but what came out of Elvis’ mouth, and expressed itself throughout his legs and body, was wholly unique and remains so to this day. Elvis knew the sorrow of being poor. Elvis knew the pain of having ones loved one incarcerated. Elvis felt the appreciation of having a hot meal void of meat made from whatever his Mother could muster from others, the market within her meager budget, or what was allowed to be picked from the "truck patch" in season. Elvis learned the value of family, of God, and the honor of working hard. Elvis grew up shy to the World but a loyal friend to those who knew him best. Elvis felt the heartache of moving from "place to place" and the trauma of hearing his Parents speak to the "Government Workers" often going over each and every penny earned.and spent. Elvis heard the subtle cries, and the flow of worried tears, arising from his beloved Mother Gladys as she comforted Elvis and kept him close by. Elvis also knew the limitations of being sick for as a child he had extreme asthma, which he eventually grew out of, and for having battled nightly sleep apnea and insomnia whereby he would be prone to sleep walk and put himself in potentially hurtful situations (i.e. walk out the front door and into a street, not realize he could fall running into trees, etc.). Elvis knew that a World existed outside of his eyesight and all of his experiences would cumulate in being able to provide for himself, his Mother and Father, and he would do it using the only thing (other than his Mother) that he could count onhimself.